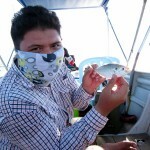 Fishyology.com is a growing angling site which focus on Blog, Explorer and Tour. We would not be at this level without the presence of our fellow fans and readers, which makes your feedback is important to us. Let’s get connected and we welcome people across the globe to our website. Hi, i’ wondering what is the rate for fishing at pd? Hi, do you do half-day fishing trip? How much do you charge for the day fishing trip/s? i would like to arrange for a fishing trip on 23.09.2015 night and 0n 24.09.2015 afternoon. I am planning to visit malaysia (kuala lumpur) area for about 5 days around late dec. or early january and would like to get in a half day of fishing. I will be with a friend who is a beginner at fishing so would like to fish somewhere with high success of catching fish. I saw your website and am interested in the natural exotic fish pond. We will be coming from California so will not have any gear. Do you guys provide fishing gear, lures, etc. and transportation to the pond? What are your rates and services? Thank you much. What is the rate for full day or half day? I have the same inquiries as per Wayne for beginner at fishing. We are planning to go PD around mid-February. Please email me the details. 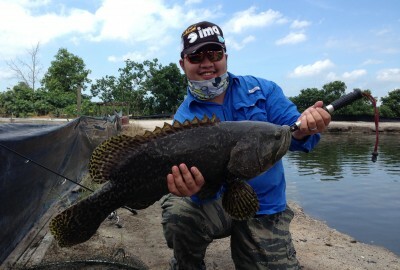 Hi, Im in KL with my girlfriend from 15th to the 18th of September and wanted to know about any half day fishing trips. Pls provide detail half and full day fishing rate in port Dickson. Hi what is the rate for one person half day/full day bottom fishing in Port Dickson? Rates are based per boat for a certain no of person. Also, is the rate based on one person? May i know the new location that you located at Behrang?